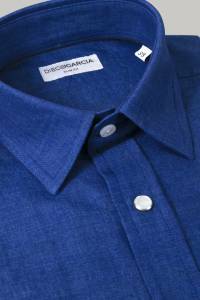 The Dallas shirt is a new piece of the Spring/Summer collection 17. 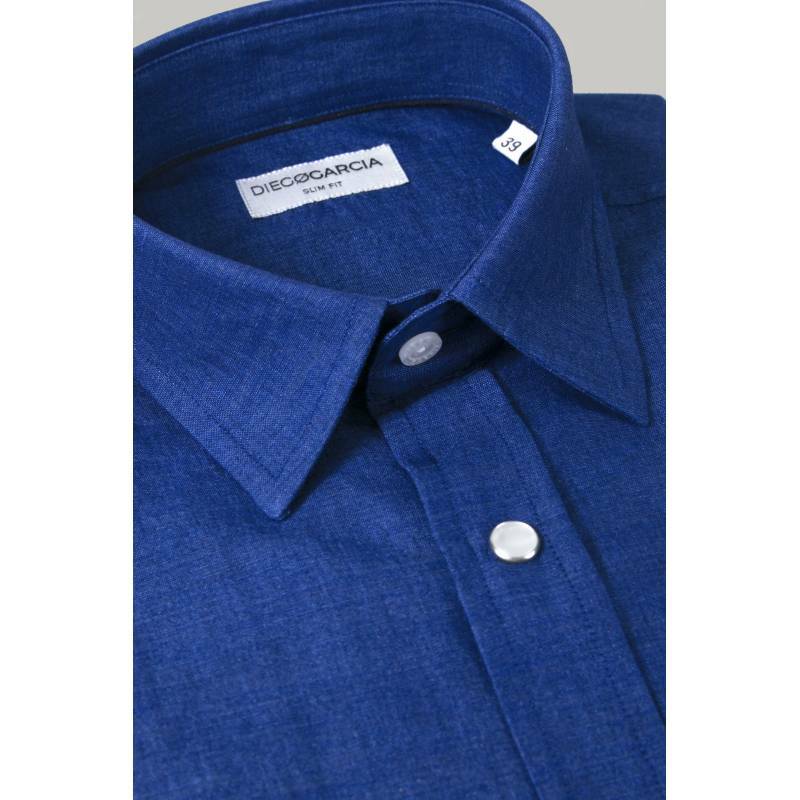 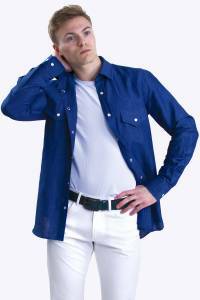 It is characterized by its linen and cotton composition very light and comfortable, perfect for summer season. 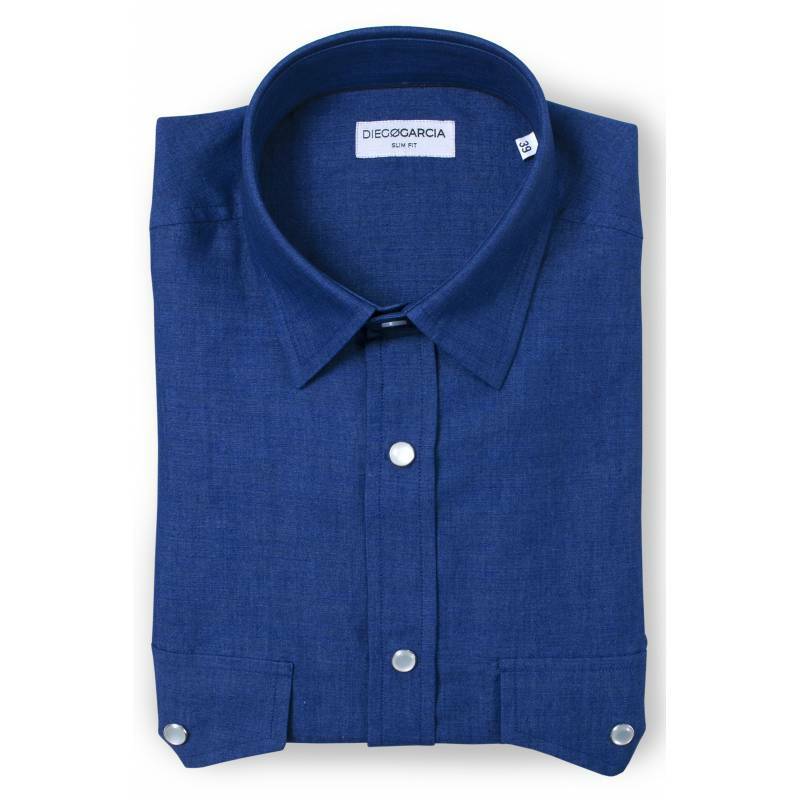 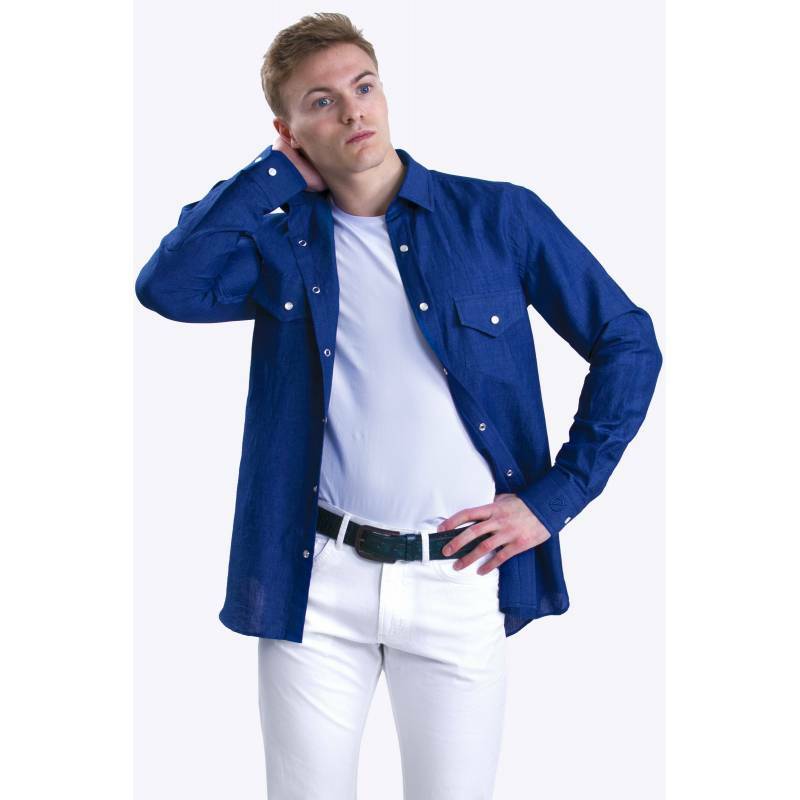 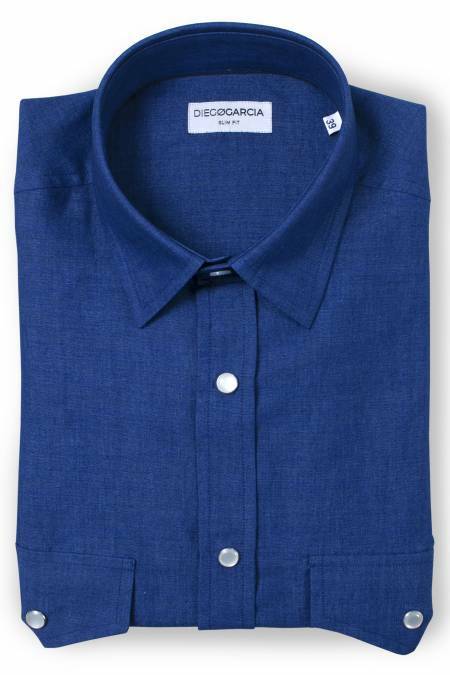 Casual and slim fit, it's blue color matches with all your jeans and pants. 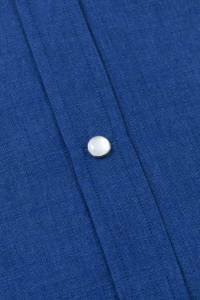 It can be worn opened over a tee-shirt or closed for a more elegant look. 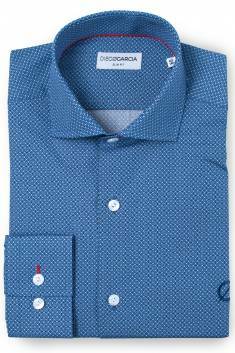 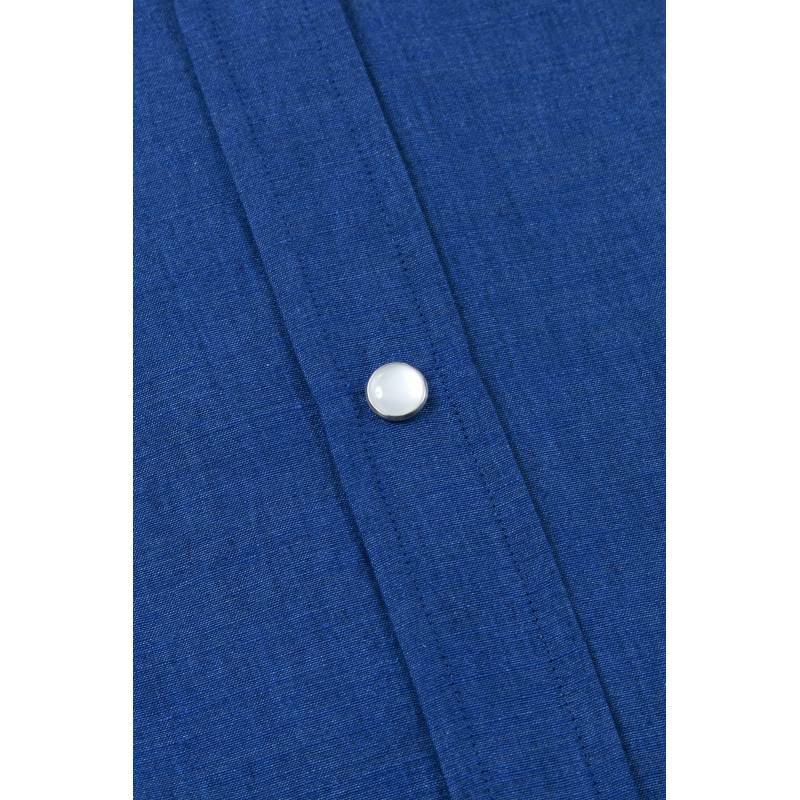 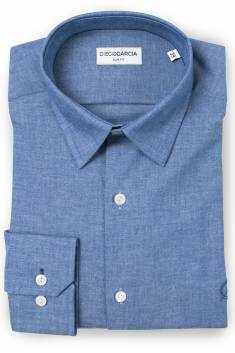 The Dallas shirt also has a French collar, two front pockets, a blue collar ribbon and overstistings, and white pearly button snaps.